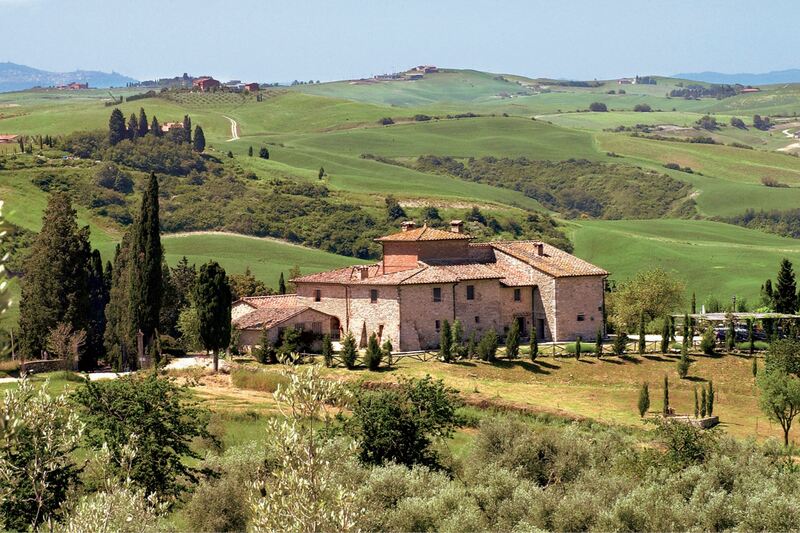 Asciano is in an hill area south east of Siena at the top part of the valley of the River Ombrone, known as the “Crete Senesi”. The “Crete Senesi” have the typical undulating features of areas rich in limestone, cut by deep erosion and notable for the almost total absence of trees. The “Crete” change colour depending on the season and are the remains of the seabed of a shallow sea that disappeared over a million years ago. The area of Asciano, clearly of Medieval origin, was inhabited from ancient times as can be seen from the discovery of an Etruscan necropolis. The economic and strategic importance of the town attracted the interest of the Florentines who devastated it in 1234. Asciano fell under the rule of the Tolomei lordship during the 13th century and once again was under direct control of Siena until 1554 when, with Siena it became part of the Medici state. The Benedictine Monastery of Monte Oliveto Maggiore was built in the area, founded in 1313 by Bernardo Tolomei. The abbey was an important religious but also cultural and economic centre, becoming particularly well known and important in the Renaissance period. 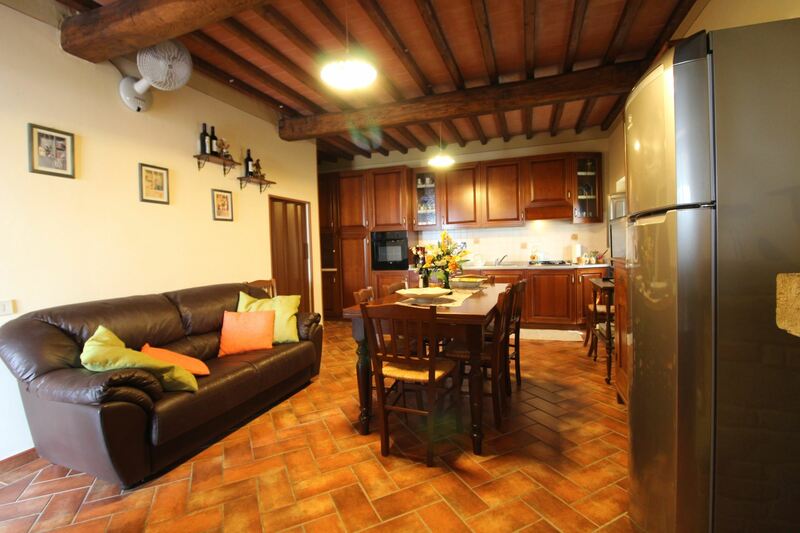 Charming apartment in a farmhouse for 5 people on the first floor with swimming pool and private thermal bath near Asciano and Rapolano Terme. Free Wi-Fi. 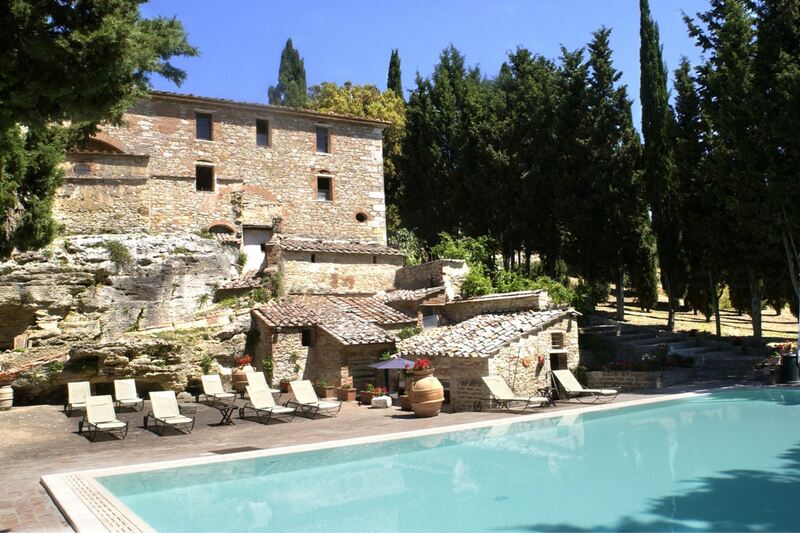 First floor apartment in luxury farm with thermal waters, pool and garden equipped to eat outside, free Wi-Fi access. Rapolano Spa are easily reachable. 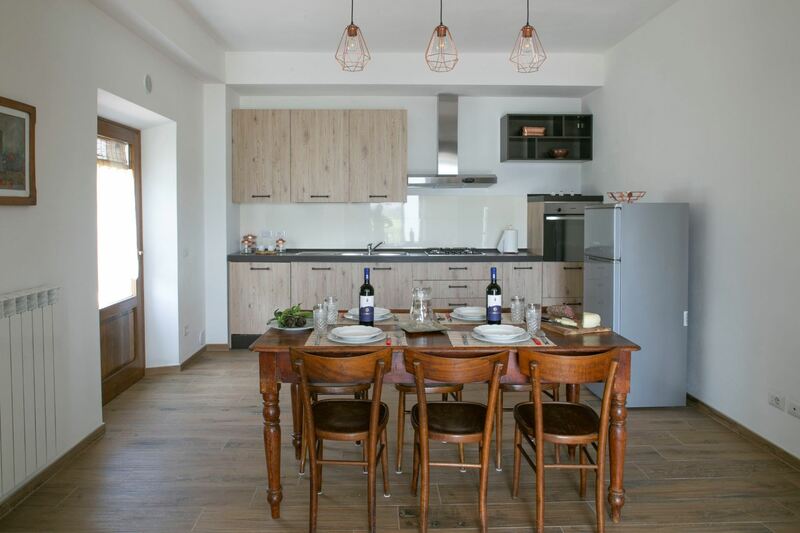 Apartment on two levels in luxury farm with thermal waters, pool and garden equipped for outdoor meals, free Wi-Fi access. Rapolano Spa are easily reachable. Apartment on two levels in luxury farm with thermal waters pool and garden equipped to eat outside, free Wi-Fi. Rapolano Spa are easily reachable. 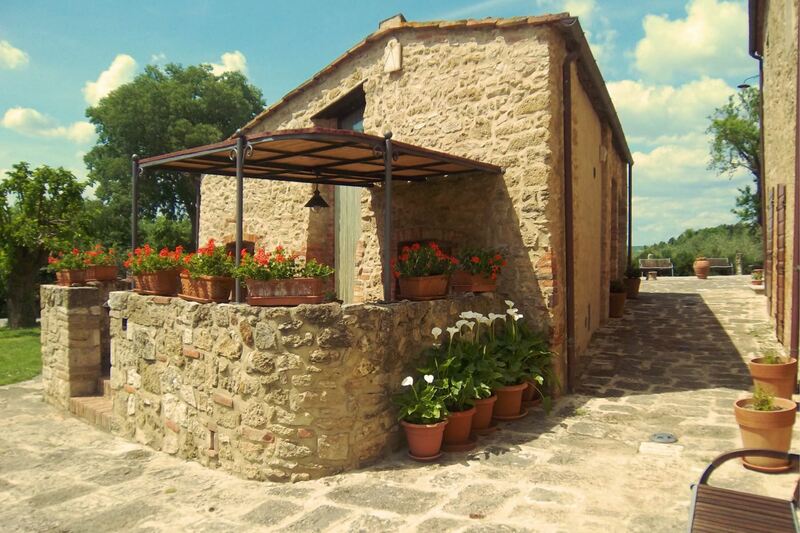 First floor apartment in luxury farm with thermal waters pool and garden equipped to eat outside, free Wi-Fi. Rapolano Spa are easily reachable. 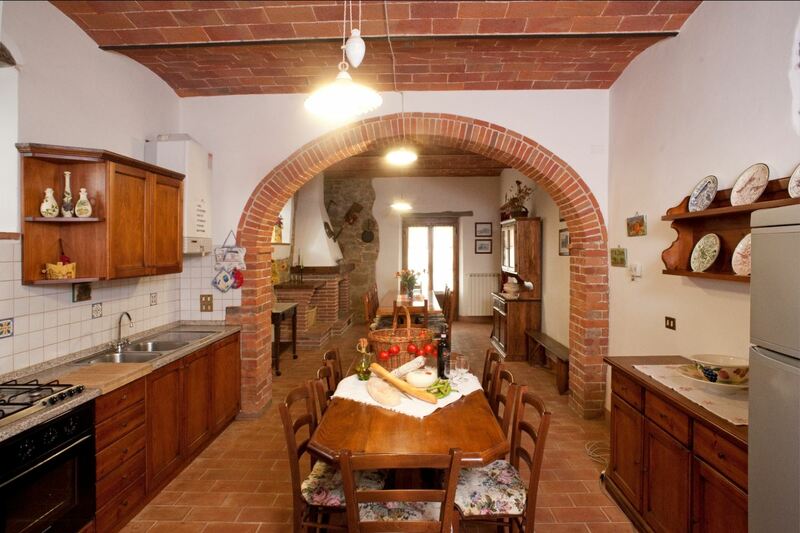 Villa with private pool and thermal bath near Asciano and Rapolano Terme. Free Wi-Fi. Spas of are easily reachable.